ALCOTEC 48 Hour Turbo Yeast - Texas Brewing Inc.
A high alcohol and temperature tolerant dual function yeast. 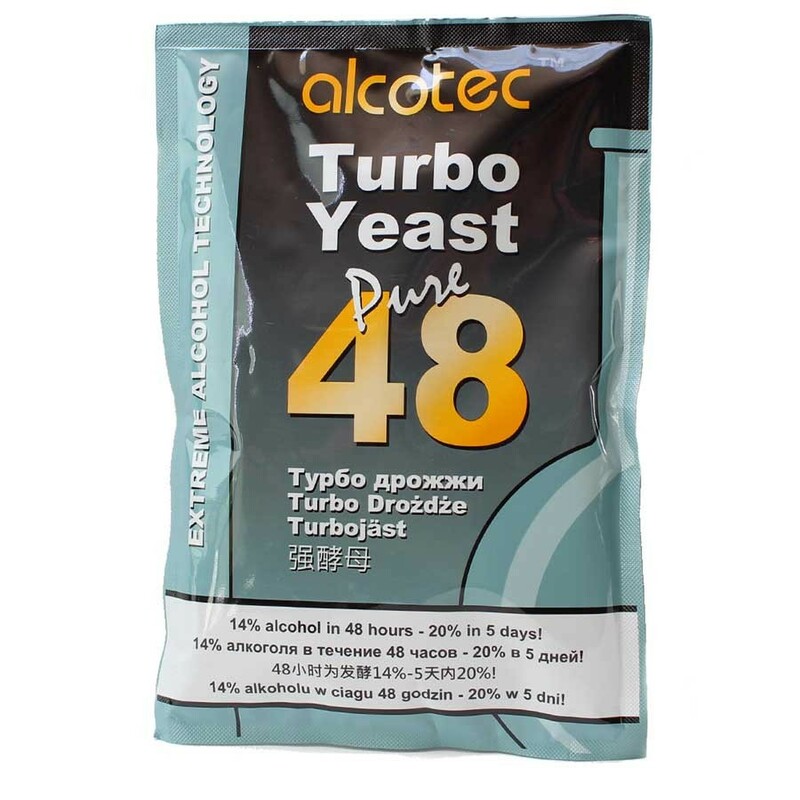 Alcotec 48-hour Turbo Yeast: A high alcohol and temperature tolerant dual function yeast complete with needed nutrients. Yields 20 liters. Produces 14% alcohol in 48 hours, or 20% in 5 days.